"I love linen. So when I heard we were considering sprinkling some into a business casual range, I absolutely insisted we didn't scrimp on it. That way I and many others can enjoy the light, breezy feel on any occasion, smart to casual." 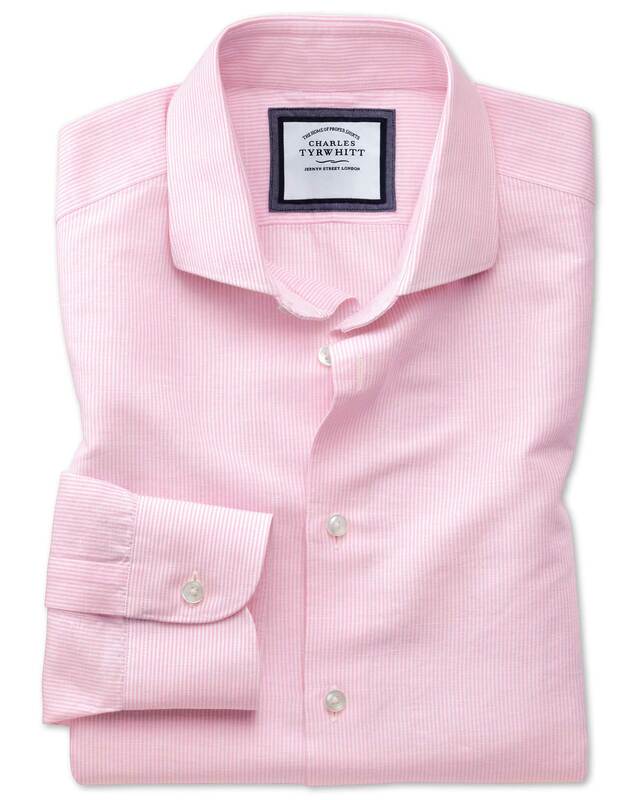 "With all the breezy benefits of pure linen, this cotton blend shirt is crinkle-free and even softer to touch." Excellent fabric quality (a bit beefier than I'd expected), and well-tailored, though I would have loved a gauntlet button, as it allows a snugger, neater look when you roll up the sleeve; placket sags a bit, but is not fully stitched-down, so I was able to wedge on a collar stay vertically between the placket hem and top button-hole, which added necessary stiffness.